How excited am I to be writing this review?? It was almost three years ago now that I first saw Melody Johnson’s wonderful MISS CALEDONIA, as part of my first ever theatrical road trip to the Summerworks Theatre festival. Actually, I saw it twice at that festival because I fell in love with it so bad, and you better believe I let out a hoot of approval when Peter Hinton announced it as the closing show of his 2012/2013 season at the National Arts Centre. And now, after waiting the whole season it was finally time for my third go at this little gem, and now I’m reminded of why I fell in love with it in the first place. Written and performed by the amazing Melody Johnson, and based on the true story of her Mother, the show follows the life of Caledonian teen Peggy Ann Douglas in the 50’s. Struggling to maintain interest in her simple farm life with her gruff Dad, ever-pleasant Mum, and no indoor plumbing, Peggy thinks she’s found a way out through the local beauty pageant circuit. Nursing dreams of stardom like her heroes Debbie Reynolds and Bing Crosby, Peggy enlists her Mum’s help to train up for the coveted Miss Caledonia crown under the nose of disapproving Dad, not to mention outwitting a nosy puritanical lodger. Melody is joined onstage throughout by fiddler Alison Porter, providing sweet and sassy musical accompaniment along her journey from farmgirl to would-be beauty queen. 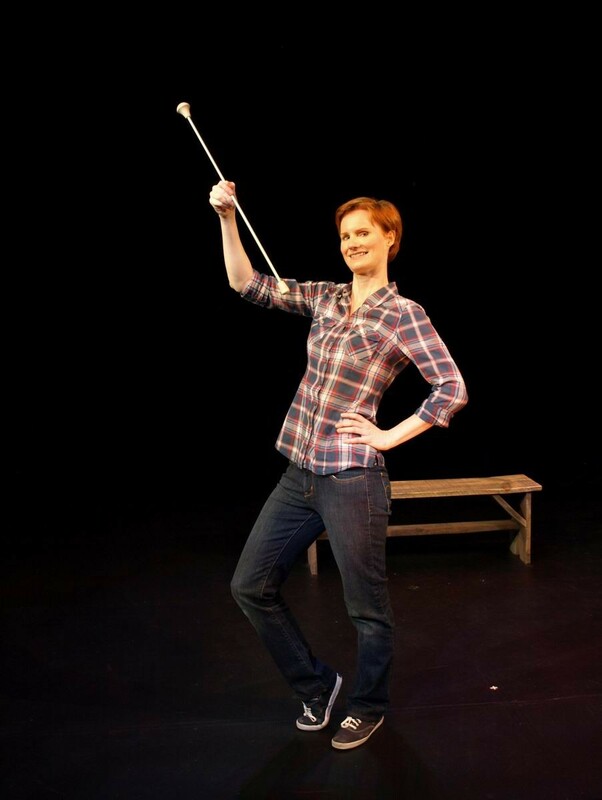 It’s official…between this show and SHE RULES WITH IRON STIX, baton twirling clearly makes damn good theatre. Next Gladstone 2013/2014 – Launched!